I'm sorry for a few of those who have stopped by and have missed my post but I've been CRAZY busy with work and my mother in law is visiting so its been a bit hectic! 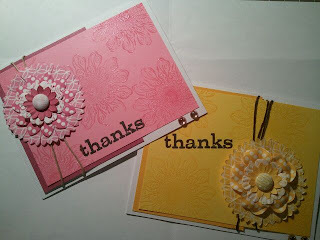 Anywho, I was honored to be asked to be part of not 1 but 2 blog hops today!! 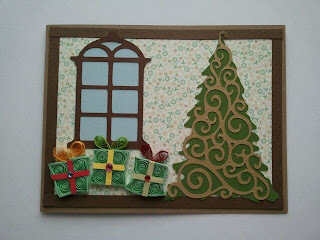 Lets start with the Quilling blog hop!! If your joining from Leesandra, then your in the right place, if not head over to Linda's blog to start at the beginning! I was so siked to be part of this hop because I've never used quilling piece but think that they are absolutely fabulous!!! I just couldn't help myself because these presents were just PERFECT!! I feel like the card is missing something but couldn't put my finger on it but I'm super happy with it!!! Be sure to head on over to Cristina from Card Creations by C for her fantastic projects! 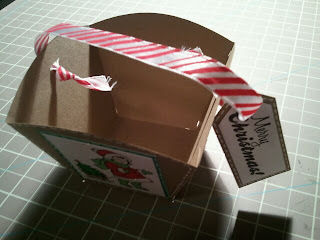 ON TO THE HOMEMADE BLOG HOP! 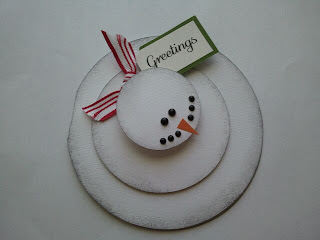 If you've arrived here from Lauren D's blog, your in the right spot!! If not, then head back to our host Cristina's Blog. 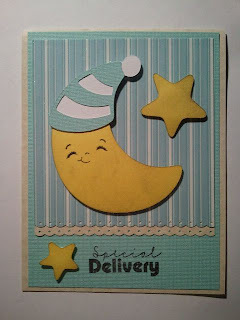 So for this blog, I thought I'd show you the card that I've been slaving over to be sent from Jesse and I for Christmas. 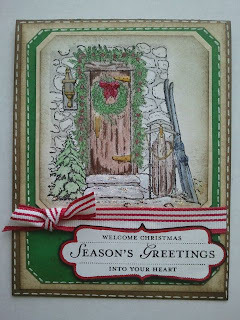 Now i know, pink is not a traditional Xmas color BUT I found the patterned paper back in August and really liked it and The Paper Company just happened to have a pack that matched Perfectly!!!! So i ran with it! I hope you guys like it! Be sure to check out everyone on BOTH blog hops as there are TONS of talented ladies participating!! This is Cristi from scrappin5littlecupcakes, Trish ask me to post today, she is so swamped at work and just one busy women!!! Sorry for the delay in posting our winner but here it goes. 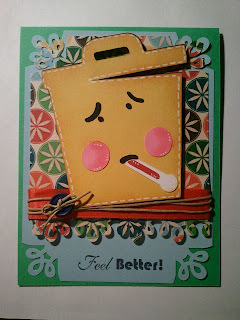 Our winner for Creative Scraps Challenge this week is doubleclickconnections - AKA Abusybee. I will be contacting you shortly, Congrats!! 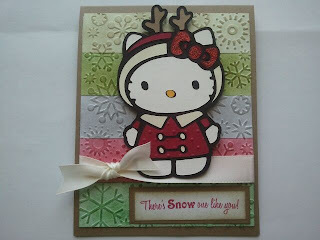 Welcome to the Snowy Winter Blog Hop!! If your hopping over from Carri at doubleclickconnections then you are in the right place if not hop on over to Dorcas' Blog and get started from the beginning. Remember to leave a comment on every stop along the way to win some amazing candy!!! Want some Blog Candy?!?!? 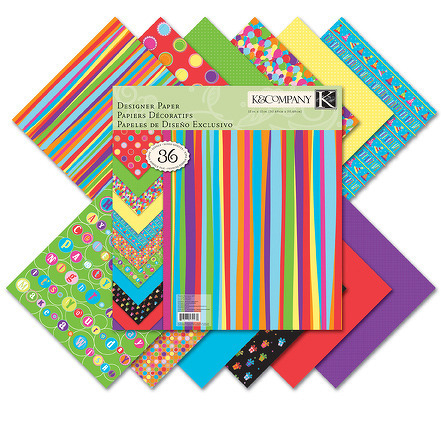 Just leave a comment on this post for a chance to win a $15 Michael's Gift Card. Only ONE comment per person and you MUST leave a way for me to contact to you! 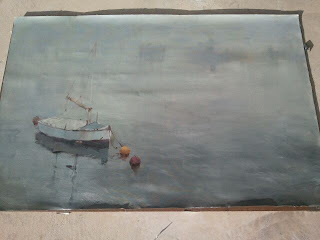 Sorry that this is late but yesterday Blogger would not let me add pictures! Its another Tuesday Challenge! Sorry to keep this short and sweet but I have tons going on right now. Momo's tuesday challenge this week was create a treat bag or box. 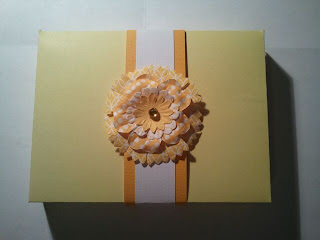 Be sure to click on her name to visit her blog and see the other designers great creations!! 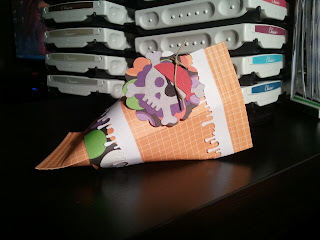 So I thought I'd make a treat bag for cupcakes or even some cookies. 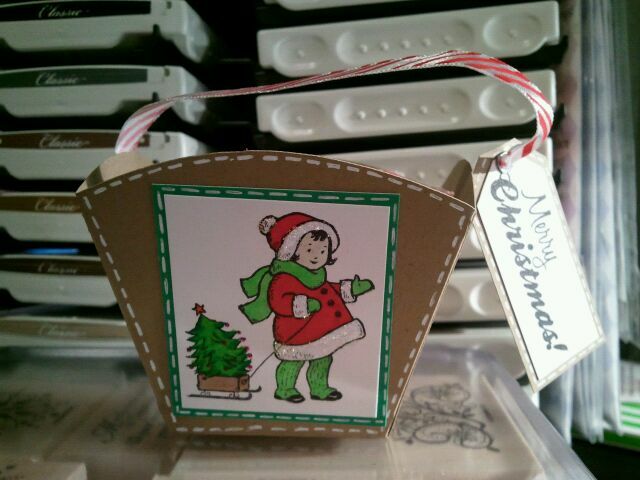 I'm oh so in the Christmas spirit, so of course it's Christmas Themed :) The Bag is from Tags, bags, boxes, and more. Enjoy! 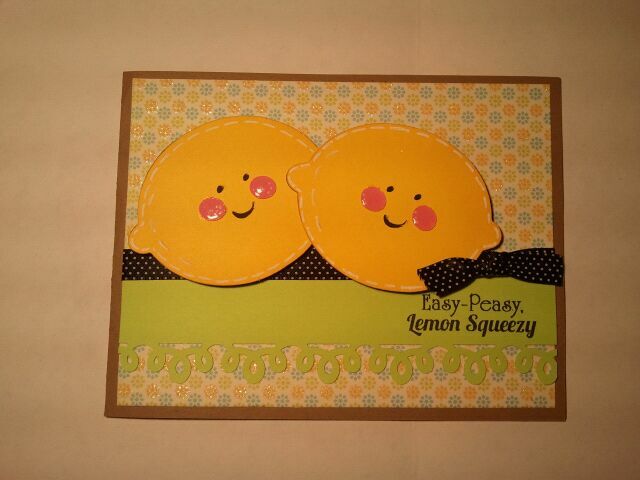 This week is our 5th week of Creative Scraps Challenge! Wahoo....I'm so excited that we are still continuing with the challenge week even though I'm SUPER busy with work. It really forces me to be creative and take time for myself to create. 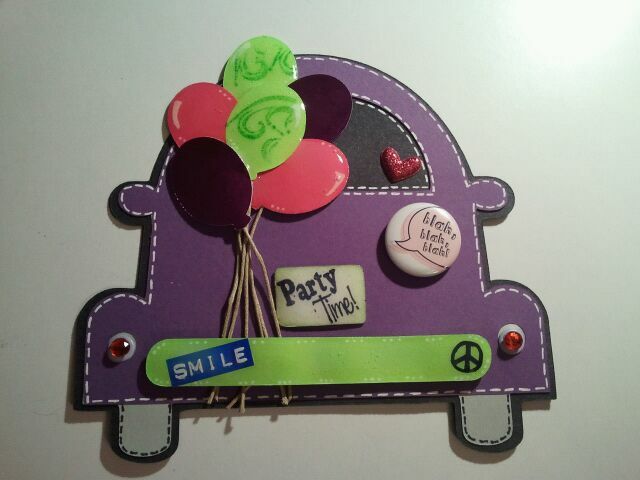 :) And creating makes me happy! So for those of you who are new to Creative Scraps Challenge, here is the break down. (For those of you who follow along, we have changed the schedule up a wee bit to cut down the stress of trying to create so much during the week). 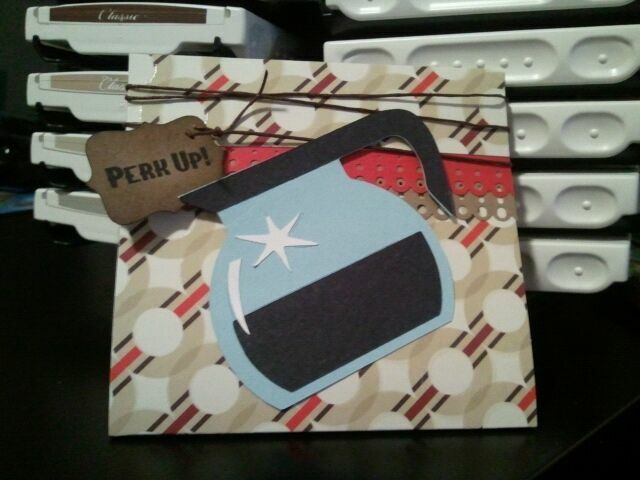 Molly (Army Wife Learns the Cricut), Cristi (Scrappin 5 Little Cupcakes) and I will take turns posting our projects throughout the week (except for Thursday). 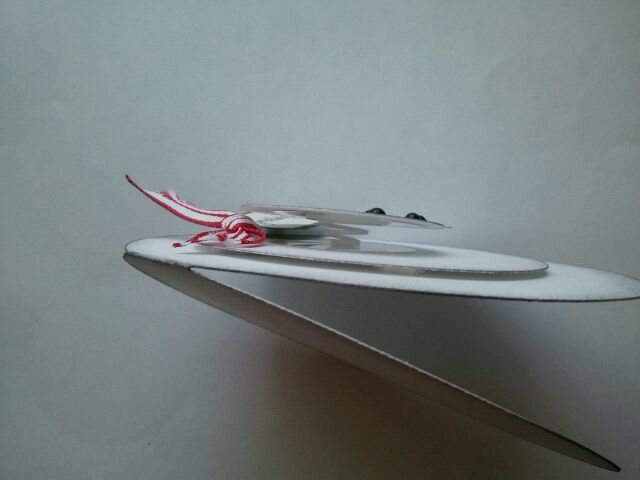 Friday is the day we will post our final project for the week with an added element. Also, on Friday, the very talented Momo (Made by Momo) will join us as our veteran guest designer. You will all then have a chance to participate starting on Friday and we will pick a winner!! 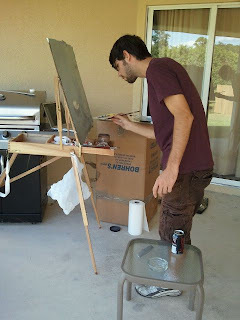 Friday: I'll be posting every one's projects here on my blog! As a side note, we have been doing 2 Challenge Weeks per month. As of right now we are going to try and keep up with that. If it proves to be too much, we may cut down to 1 week for the month of December since everyone is so busy! Happy Weekend! I'm so glad that it is finally the weekend and I can relax with Jesse :) I'm so excited for today because we are having our family Thanksgiving dinner today at my in-laws house!!! I am in the middle of baking Apple Pie for the festivities. So I got quite a few requests to show how I made the Snowman Action Wooble Cake. So I made a quick video this morning. 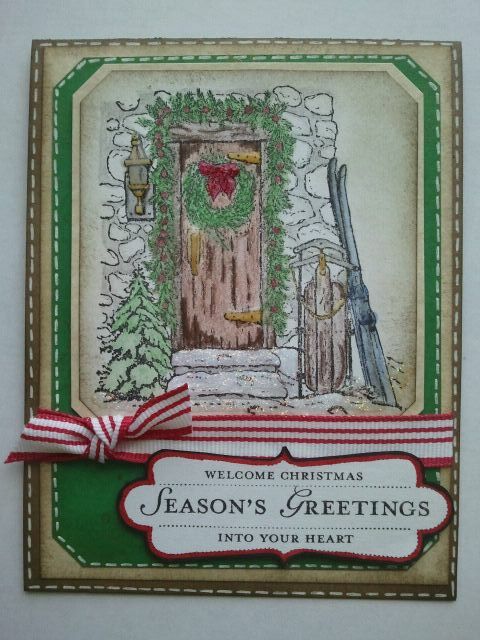 As I mentioned, this is a card that I found in "Holiday Cards" Magazine. Any who....I've been dying to post this week but had to wait till today for the start of SNEAK PEAK's!!! 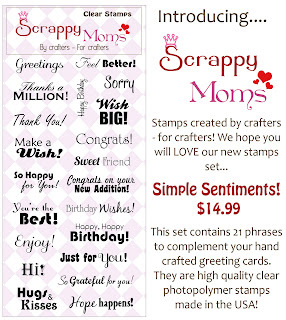 ﻿Scrappy Mom's has done it again with another Must Have stamp set! I'm so excited to show you all! 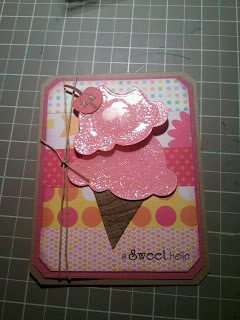 The card that I made today is a total scrap lift! 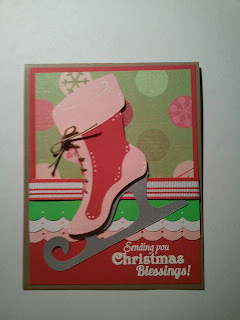 This card was one of the cards featured in "Holiday Cards" magazine but I had to show it! Its absolutely adorable and to add to the effect.....I used an Action Wobble. I just LOVE these new Action Wooble Springs---OH be sure to "Like" them on Facebook, Search Action Wobble and you wont miss them! 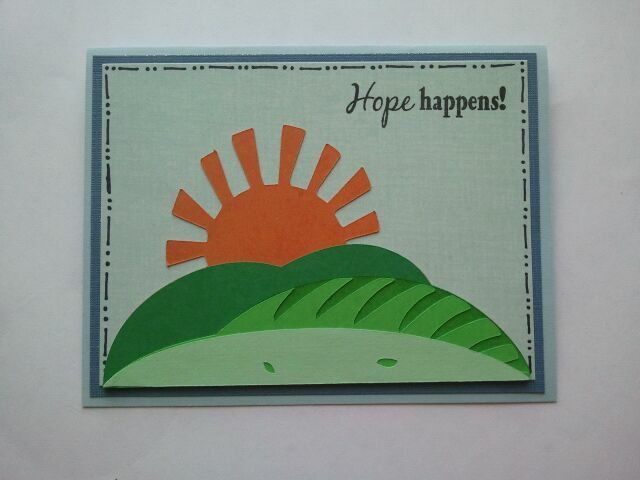 Hope you all enjoy the card and be sure to check out the other designers creations by clicking on their name on the right sidebar! DON'T FORGET! 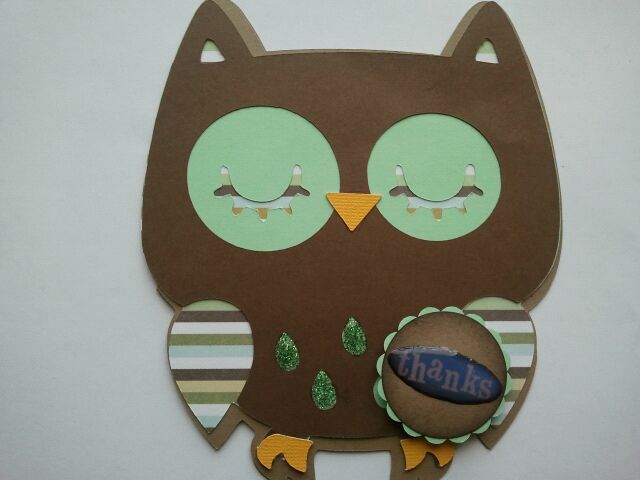 YOU HAVE UNTIL TOMORROW TO ENTER INTO CREATIVE SCRAPS CHALLENGE! HEAD OVER TO CRISTI'S BLOG TO ENTER! :( this was suppose to AUTOPOST on Tuesday morning and it didn't so here it is, extremely late! 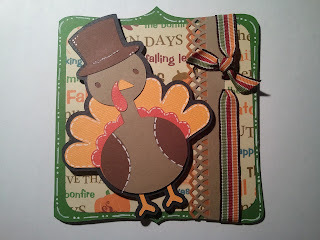 Anywho.....ONTO Momo's Tuesday Challenge was to create anything with a Turkey on it! Great way to get us in the spirit for Next week's Thanksgiving! (....I'm still trying to figure out how I'm going to cook Thanksgiving dinner....alone!! YIKES!) So here is what I came up with. 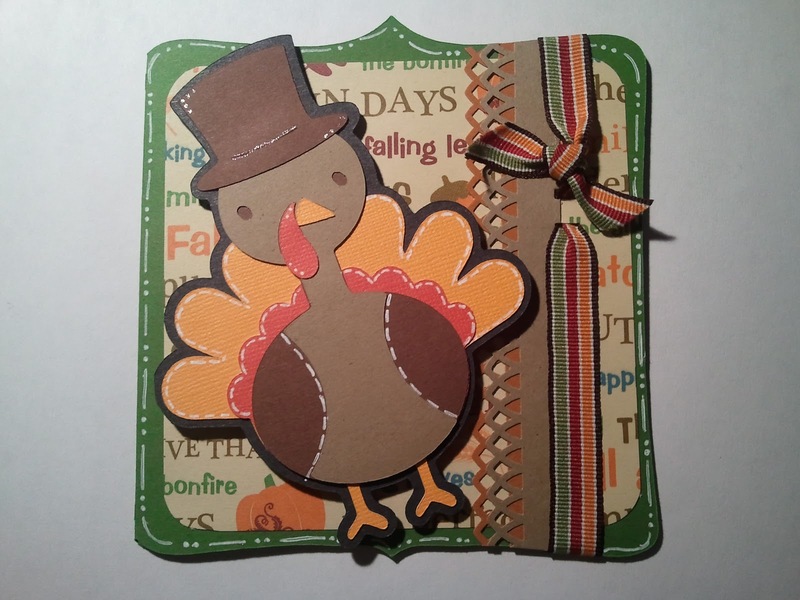 The card base is from Christmas Cards Solution's and the Turkey is from Create a Critter. 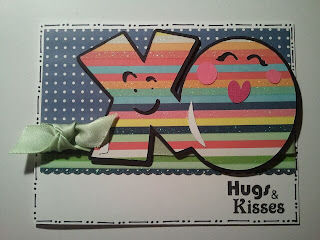 I also used my brand spankin' new ribbon punch from Stampin' Up! but its a bit hidden from the knot! Sorry. 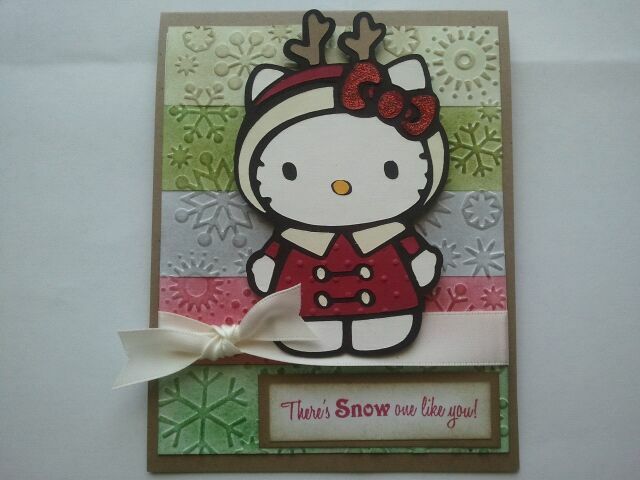 Don't forget to head on over to Momo's blog to checkout all the other designers creations and to enter in the Challenge as well! Lastly, as many of you have seen on Momo, Sarah, Julie, Emma, Pam, and Tammy's blog--the NEW Action Wobble Springs are going to be the next BIG hit in the crafting world! 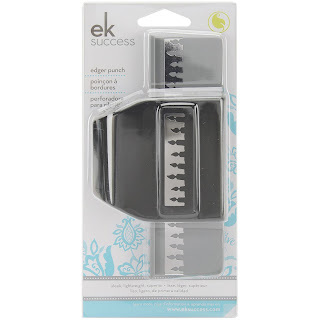 I was lucky enough to be asked to be part of the focus group for this new product. I made Madison's card using the action wobble! However, after our conference call last week (PS.....They have an AMAZING contest that is going to take place sooooo soon! And the prizes....Your will not believe how AWESOME they are!!) I came up with the cutest idea for a card using the Action Wobble! Actually its wobbling right in front of me as i type on my keyboard! LOL I made a video of me creating the card but thanks to the new Call of Duty: Black Ops...there are explosions and shots being fired in the background and I'm going to have make it Closed Captions with fun music! LOL I just can't wait to finish editing the video so I can show you all! Be sure to check back and to check out all of the other focus group ladies who have fantastic projects using the action wobbles! So this post is all about how TRULY blessed I am. I really have some of the most AMAZING people in my life!! The absolute Greatest friends!!!! First, let me say THANK YOU to everyone who sent me a card (and a few small goodies) with such AMAZING words in it--when sending Madison's card! They were totally a SURPRISE and brought such a smile to my face!! Also...thanks to Julie and Sarah who keep me smiling and laughing with all their texts! I LOVE text messages and they keep me giggling! 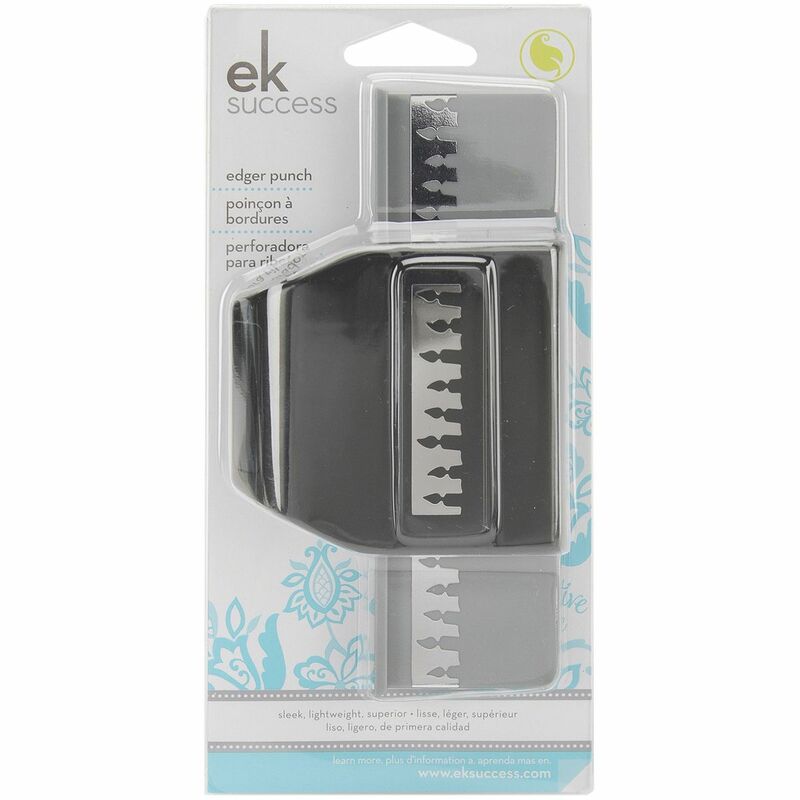 And involved with new products-----thanks Julie for letting me be part of the Action Wobbles! You girls will always be my Secret Accomplices! So overall.....Thank you to everyone for everything lately! 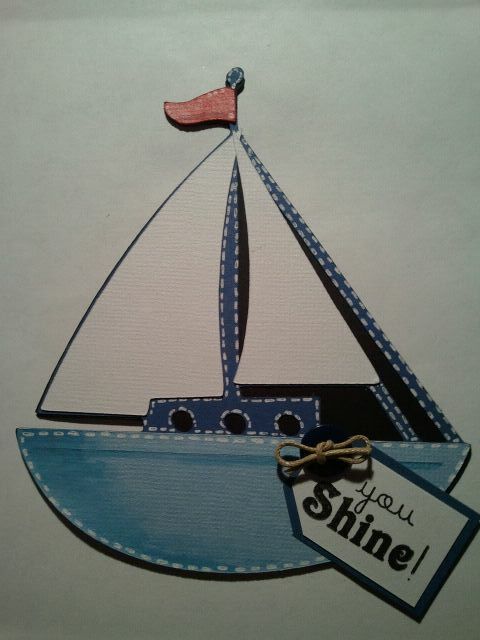 From comments, emails, cards, to goodie packs----I'm truly blessed to have you all in my life!!!!! I have received OVER 100 cards and at least 25 people sent packages for Madison as well!!! I can not tell you how much this means to me! I am so grateful, from the bottom of my heart, that I have such great blogging friends who posted Maddie's information and then all of you who re- posted on your blog. I appreciate it so much! She is going to love it and her family is so appreciative of everything y'all have done. I will be sending out the packages this afternoon when I get home from Jesse's Air force Annual. I was so excited to be asked from "Action Wobbles" to be part of their test group! Thanks JULIE!!! :) So, I finally got the chance to use it! My ice cream is cut from Simply Charmed (I think! lol) and I glittered both scoops and than coated it with Glossy Accents. I thought the cherry's face was appropriate since the top scoop is wobbling. (i always have that problem with 2 scoops, that's why i get a cup too so that I don't loose any of the scoops--LOL)﻿. 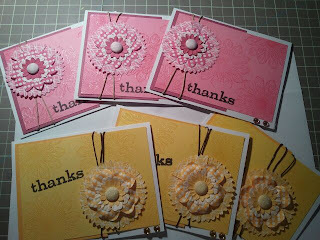 I used the distressed stripe's and ran the cone through twice in a criss-cross and inked around the edges. 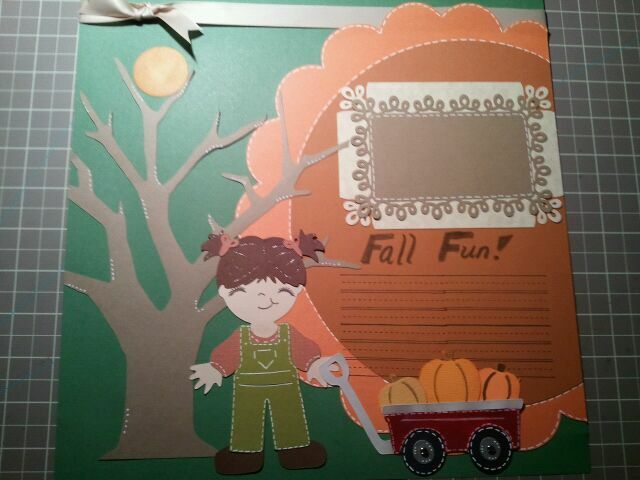 I also used scraps of decorative paper for my background. 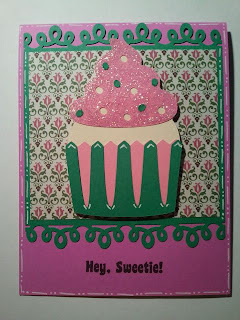 And I used the Scrappy Mom's "Sweet Somethings" Stamps. 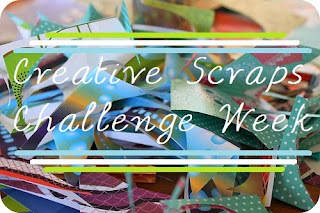 ﻿WAHOOOOOO its Creative Scraps Challenge Week #4!!! Now I must warn you guys.....Cristi and I have been Mojo-less recently so we have decided to just post on Monday and Friday, since we just cant seem to crank out anything that we like. This week we decided to have another Cartridge challenge. 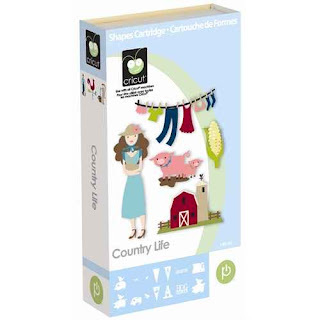 And the cartridge is.............Life is a Beach! 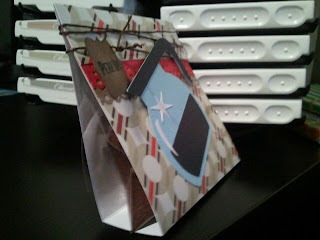 So I have been wanted to make a treat pouch like this one for quite some time!!!! I FINALLY got to use my crimper that i have had for a few months but had never touched! LOL And I know some of you are thinking, wait a minute! last week you were making Xmas stuff for mom's challenge and now your making Halloween stuff?!?!?!?? Trust me i know, I'm all kinds of bass-ackwards! 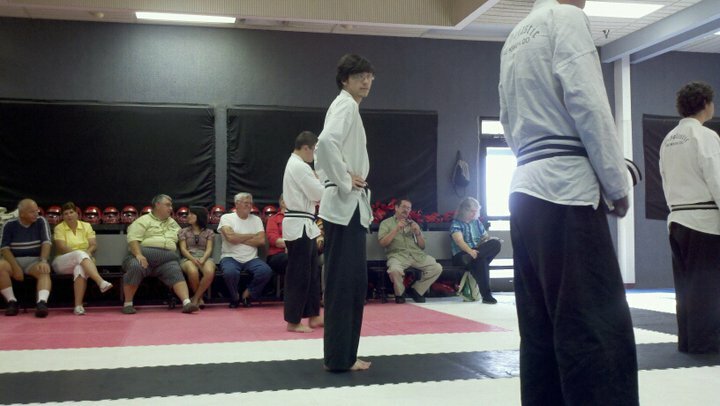 LOL So here is what I can up with. I hope you guys like it! Be sure to head over to Cristi's blog to check out her creation for today! Also, check back here for tomorrow to see the card I created for Madison. Welcome to the "Overly Inspiring" day of the Creative Scraps Challenge and also the "Open to the Public" Day! LOL If your new to our Challenge...here is how it works. Cristi, Molly, and I creative all week long to offer you guys inspiration and to also challenge ourselves and get our butts crafting! :) Then on Friday, we all present a new project with an added element of surprise and have Momo and other Fabulous guest designers to inspire you! You then have until the following Friday (in this weeks case, Nov. 5th) to create and link your projects. 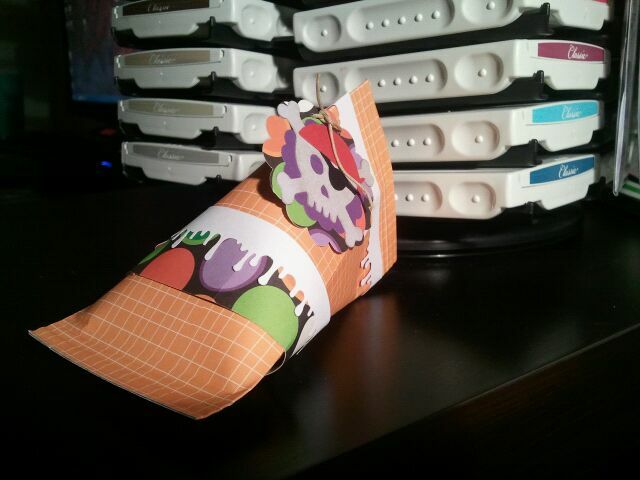 And we have some blog candy for you all too :D ﻿Sound interesting?!?! Come join in on the fun! 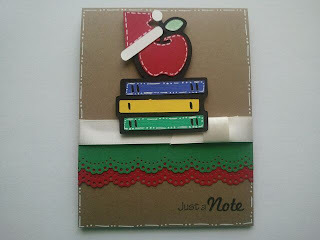 This week....Molly is hosting Challenge Friday so you can head over to her blog to see all of our projects! Click Here to jump on over!! 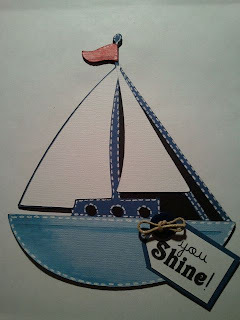 This week....our challenge was to create a thank you card but the added element was that you had to either heat emboss or use glitter (and stickles do not count!) --Someone asked me how we come up with our challenges and added elements...we all look around our rooms and see what we're neglecting and pick based on that so that we can utilize all of our stuff! Here is what I came up with! This set also happens to be the giveaway for this week!!!! 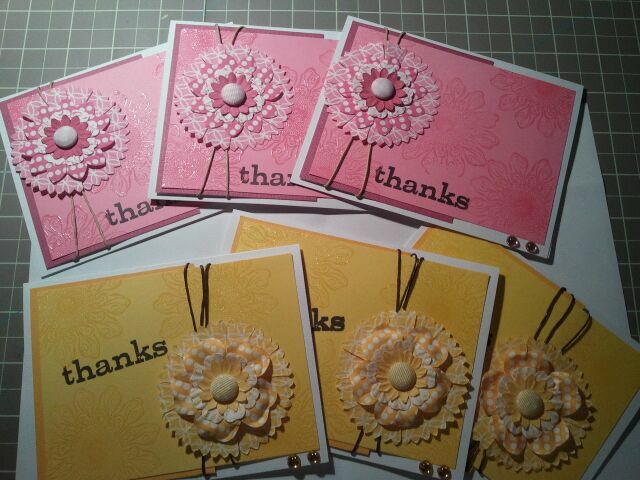 The flowers on my cards were a GREAT deal....I found packs of these flowers at Michael's a few months ago and they were only a $1 for 36 paper flowers and 9 gems. What I did was take one flower of each size and layer them and attach them together with a brad! Love the look it gave! 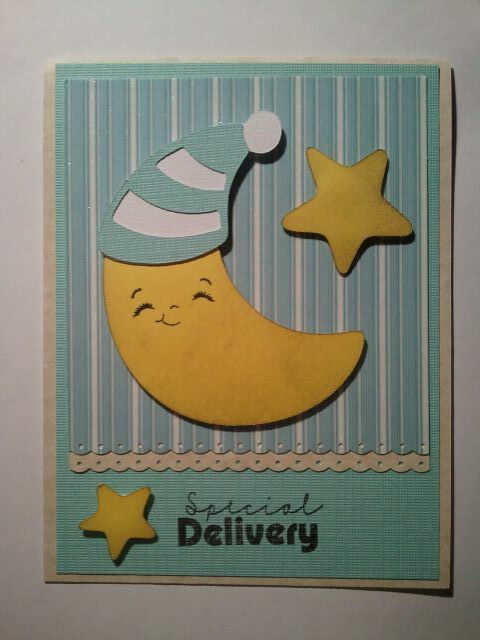 So for the giveaway, you'll get all 6 cards, in the box, with 6 envelopes! 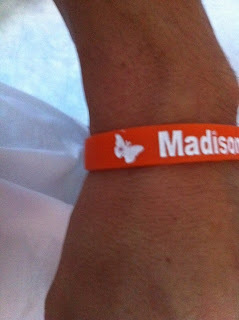 To Find Out ALL the information for the Card Drive for Madison.....click HERE!!! WAHOOOOOO its Creative Scraps Challenge Week #3!!! We took last week off because of Momo's Challenge week AND because week all needed a mini vacation! 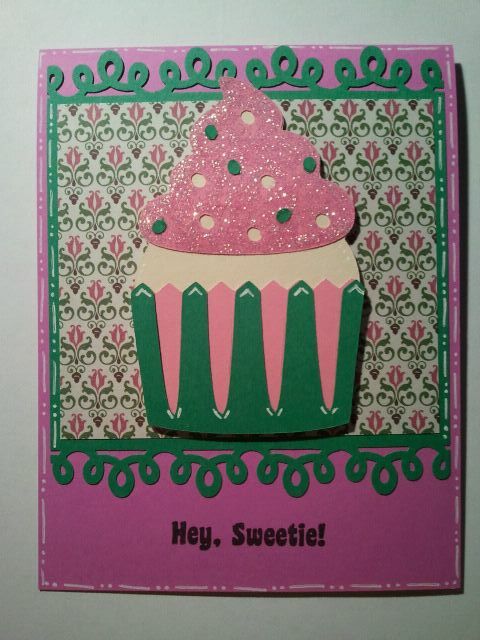 For our new followers, Molly (Army Wife Learns the Cricut), Cristi (Scrappin 5 Little Cupcakes) and I will take turns posting throughout the week except for today when we are all posting our projects. Friday is the day we will post our final project for the week with an added element. You will all then have a chance to participate starting on Friday and we will pick a winner!! the "thanks" has glossy accent on it but it was still wet when I took the picture! 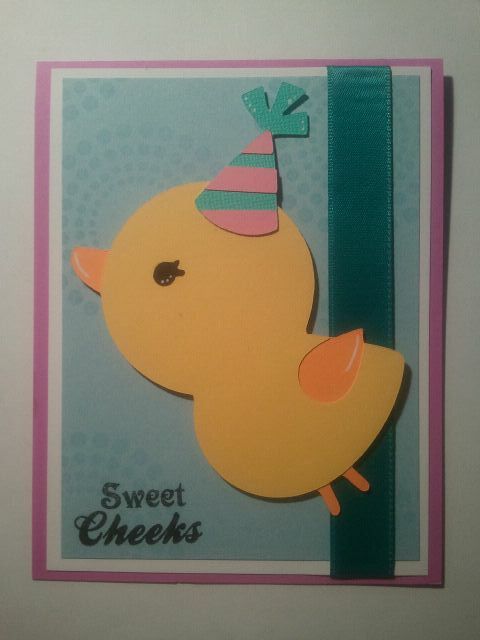 Hahaha.....Be sure to head over to Cristi and Molly's Blogs because they're CARDS are sooooo cute!!!! So today is Tuesday Challenge for Momo's Blog. 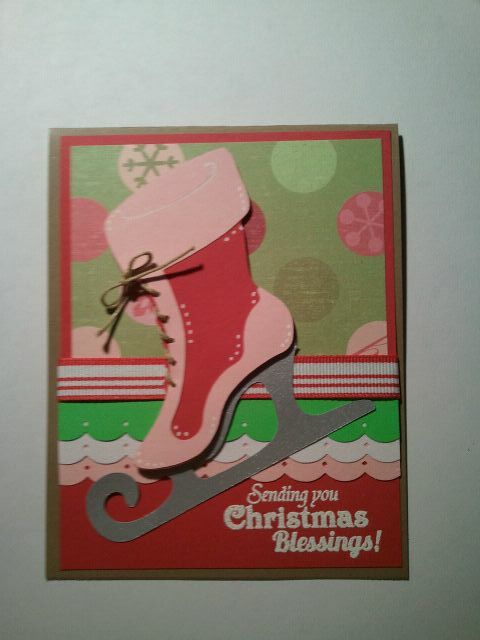 The challenge was to make anything BESIDES a card! She always likes to pull a fast one on us....ehehehe. 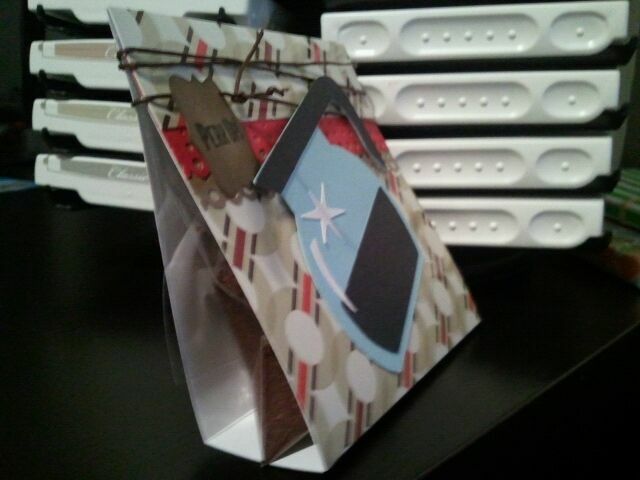 So I created a "treat bag" that is filled with some ground coffee. 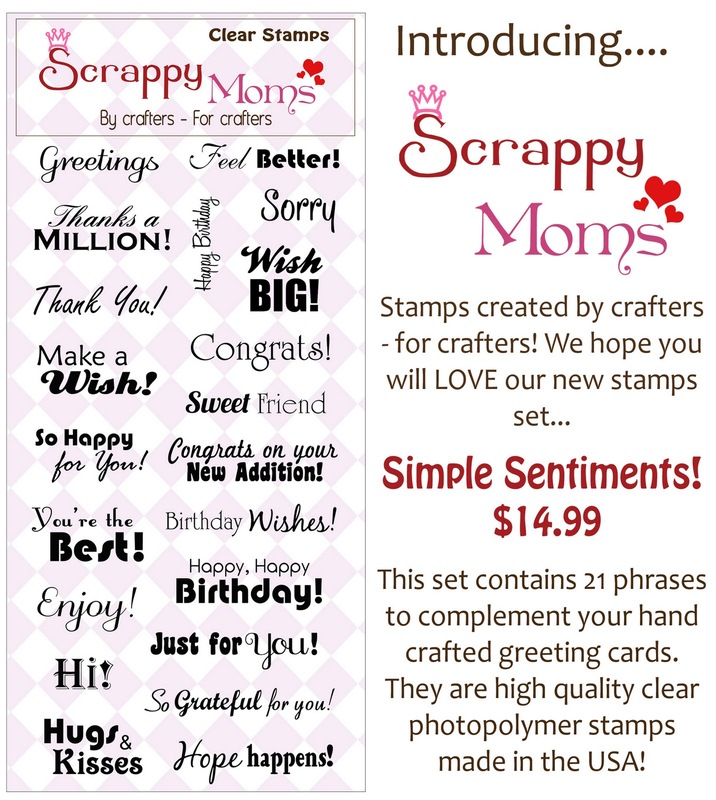 This also serves as my second sneak peak for Scrappy Mom Stamps! 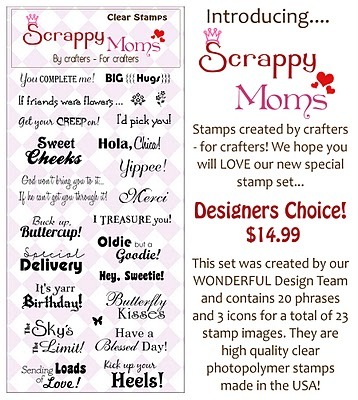 If you haven't headed over to Scrappy Mom's blog to order this set.......you better head over there and order away because this set is fabulous! Trying to put a smile on the face of a child suffering from Cancer!!! After working for my parents business for 10 years, you get to know your customers pretty well and over time they become more like friends. 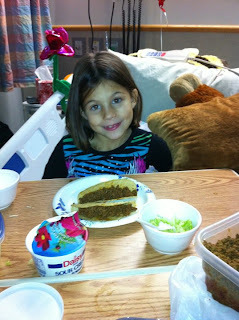 One of the customers had told me last year that he was thrilled that his niece, Madison, was in remission from Leukemia! Their family was over joyed that such a young girl had beat this vicious cancer (she's only 6 years old). However, just last week, their family was just hit with the most horrific news........Madison's cancer has returned. Now I personally do not know Madison BUT i'm the type of person who wants to help whenever I can. I know that I cant cure her but I can help with making her day a little better by sending her a card to put a smile on her face. So, this is where i'm hoping to get your help.....i'm hoping to get a TON of cards to cheer up Madison. 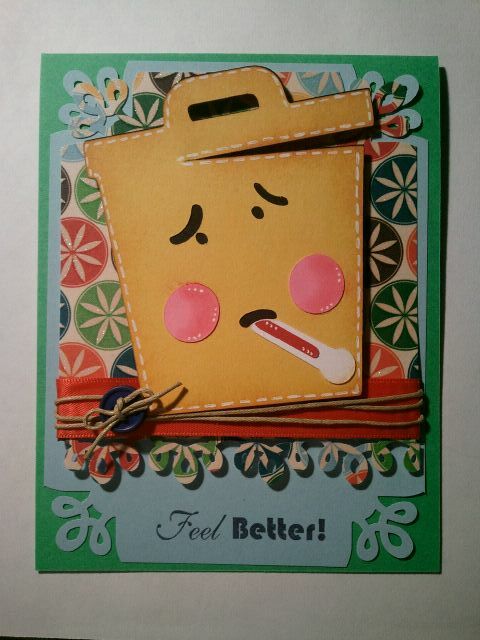 "Get well" cards and anything that is super girly would be perfect!!! And if you'd like to send a small gift, ex: a barbie or stuffed animal, im sure it would cheer her up and keep her company while she spends the next several weeks in the hospital. I know she loves pink, butterflies, and anything girly. Ps....if you'd like to send a card to Madison's parents with words of encouragement or your prayers, their names are Bobby & Maria. So i'm just riding along in the car with my hubby heading to the Airforce Base for appointments. And just realized that I could download a Blogger App on my new phone!!!!! Wahoooooo!!!!!!! 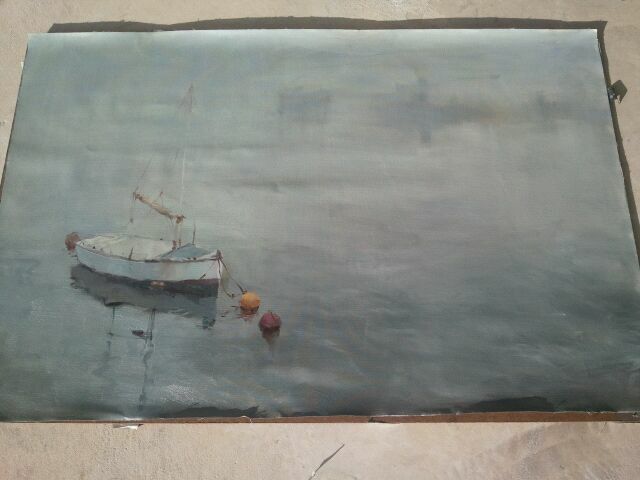 The only thing I can't do is rotate pictures :( so please just touch ur ear to your shoulder and ull be able to see the picture correctly! Lol. Unfortunately, I can only post one picture so to see the new FABULOUS stamp set by Scrappy Mom's, click HERE! So this is what I came up with!!!!! I used 2 layers of UTEE on the jar portion. That's why it looks super shiny but the color looks dull. It was the look I was looking for. And I used fabric on the top with braiding cord around it. When I see jam for sale at craft fairs- I always see fabric over the lids for a decorative look....so I followed along and applied it to my card. :) Hope you guys like it!!!! 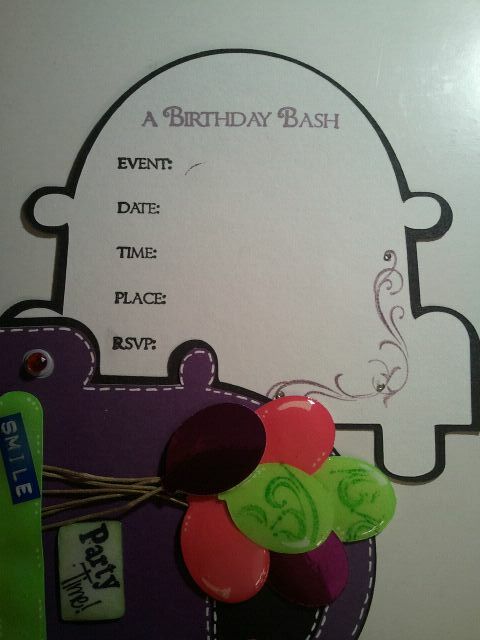 Also be sure to check out my design team sista's who have been showing off amazing projects as well!!! 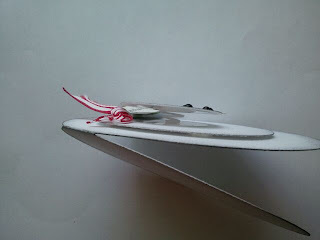 You can check out there blogs by clicking on their name in my sidebar under my Scrappy Mom's DT button!